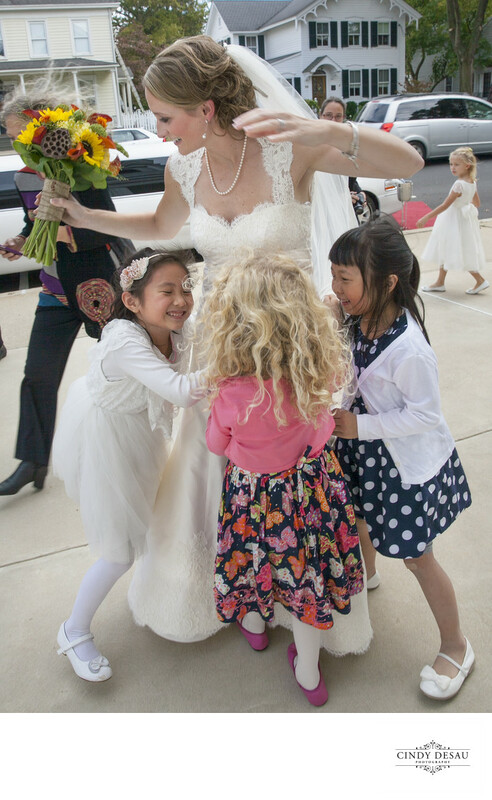 These students were so excited to see their second grade teacher get married! They ran to give her hugs after her church ceremony, and this is one of the candid wedding photographs I captured. This photograph was taken at the First Presbyterian Church in Cranbury, New Jersey.